… but now there are numbers to back that claim up! 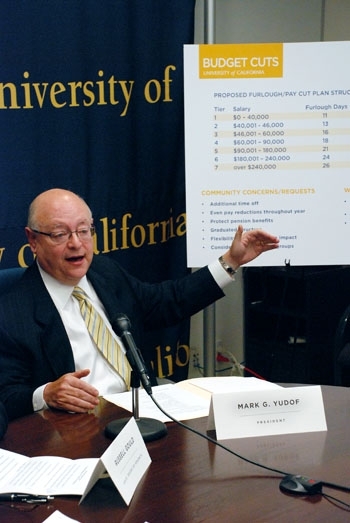 In our previous episodes, we left off eagerly awaiting the results of a union-sponsored, multiple-day-long, unofficial “vote of no confidence” in UC head honcho Mark Yudof. How could the vote possibly turn out? Can union members turn around and surprise everyone with a big cheer for the greatest (or worst, if you’re of the glass-is-a-quarter-empty school of thought) UC President since Robert Dynes?